génial !!! love them !!!! Lovely! They are so beautiful! 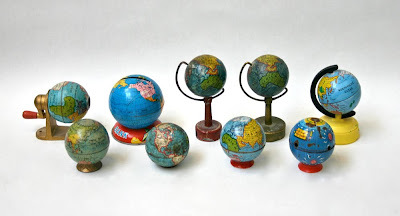 I have a globe pencil sharpener collection too. Love them! Hey Lisa, We love your blog!! oooh! I want them all! I wish I had this collection. Thank you so much for sharing this with us!